On December 2, 2018, about 1945 universal coordinated time, a Cessna 172P airplane, N98884, collided with vegetation following a runway excursion from an abandoned airstrip near Santa Rita, Guam. The commercial pilot and passenger sustained minor injuries and the airplane was substantially damaged. The airplane was registered to and operated by Trend Vector Aviation International Inc. as a Title 14 Code of Federal Regulations Part 91 personal flight. Visual meteorological conditions prevailed, and no flight plan was filed. The local flight originated from the Guam International Airport (GUM) at about 1830. The pilot reported that after a normal preflight and run-up, he took off to the south along the coastline. He spent some time in the practice area before proceeding to fly around a nearby harbor. While flying south along the shore, he initiated an eastbound climb when he observed the engine RPM steadily decrease to about 2,100 rpm, then 1,800 rpm, and finally to about 400 rpm. The pilot attempted to restart the engine several times, but to no avail. He proceeded to a nearby abandoned runway and entered a tight base. After turning final he realized the airplane was too high and he attempted to slip the airplane, however, it subsequently landed long, exited the end of the runway and came to rest in heavy vegetation. A civilian aircraft made an emergency landing on Naval Base Guam's Orote Point Airfield, according to Joint Region Marianas. The flight contained one pilot and one passenger. Both occupants were injured and transported to Naval Hospital Guam. The aircraft, from Trend Vector Aviation, departed Antonio B. Won Pat International Airport at 8 a.m. Sunday for a two hour flight around the island, according to airport spokesperson Rolenda Faasuamalie. The emergency landing occurred around 10 a.m. Sunday due to engine troubles, according to Lt. Cmdr. Karl Lettow, a Joint Region Marianas spokesperson. The plane’s trajectory and momentum at landing carried it off the runway and into the surrounding jungle, where damage to the aircraft occurred, according to the statement. Naval Base Guam Fire and Emergency Services responded immediately and transported the two injured occupants to Naval Hospital Guam. There were no reported fatalities as of this time. Civil authorities are currently investigating the incident. 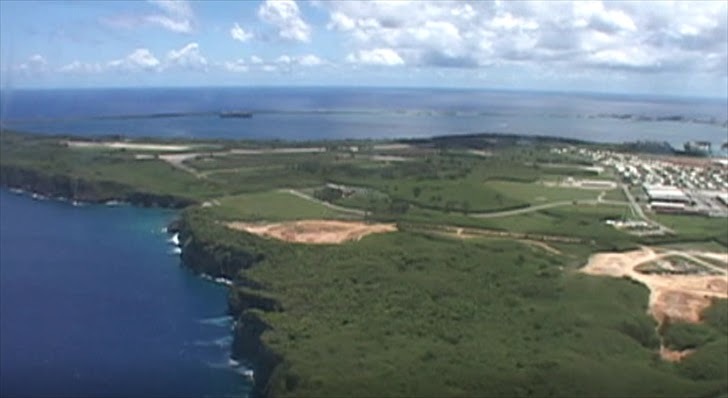 Trend Vector Aviation provides flights across the islands of Guam, Saipan, Tinian and Rota, including scenic flights within Guam, according to their website. Trend Vector Aviation declined to provide any comments as of press time.